Showing recent results 1606 - 1620 of 4500 products found. 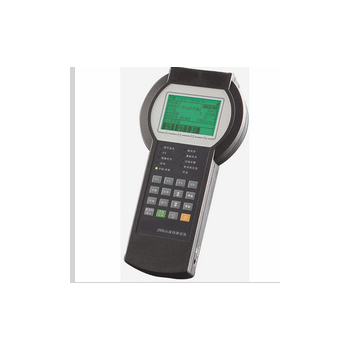 T-2128 - Wuhan Sunma Technologies Co., Ltd.
ST2128 E1 BER tester is a small and muni-functional handheld E1 line test instrument which is to do BER test, frame analysis ,time slot analysis, signaling test, sign analysis, alarm analysis and so on. It is not only durable and easy to use, but also has high performance–to-providing ratio, especially for simplifies installation and maintenance testing for faster problem resolution. 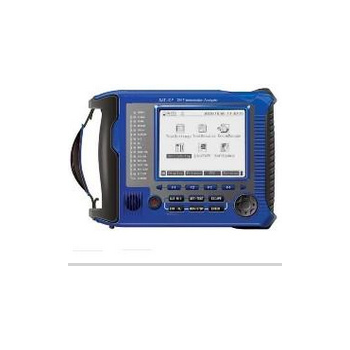 ST-2130 - Wuhan Sunma Technologies Co., Ltd.
ST2130 E1/Datacom tester is one multi-functional and full- featured digital transmission system test device, designed for the installation test, engineering check and acceptance, daily maintenance of digital networks. Mainly performing channel test, alarm analysis, fault finding and signalling analysis. In addition, this instrument further provides various protocol converters with one-way and bi-directional bit error test function. These capabilities make it ideal for field use. 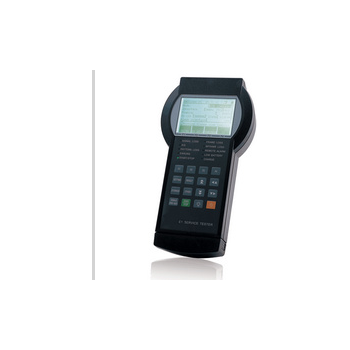 ST-2120 - Wuhan Sunma Technologies Co., Ltd.
ST2120 E1 service tester, a powerful handheld instrument, providing a scalable, future-proof solution for the testing needs of technicians involved in the installation and maintenance of E1 digital networks. It offers all the error and alarm measurements you will need to verify quality-of-service in your networks. Plus, signal quality measurements including frequency, level and other functions to ensure your costly, time-consuming work performed quickly and efficiently. AT1000 is a complete E1/T1/J1 Tester build inside PC Card form factor. The unit small size, light weight and high performance makes it a great travel companion for Field and Support Engineers as well as a powerful R&D tool. Linkbit PCMCIA card features two independent T1/E1 ports, a digital signal processor (DSP) and an embedded CPU. EVSE's Electrician and Technician testers are created for installation professionals, and are small and durableenough to be carried in a toolbox. 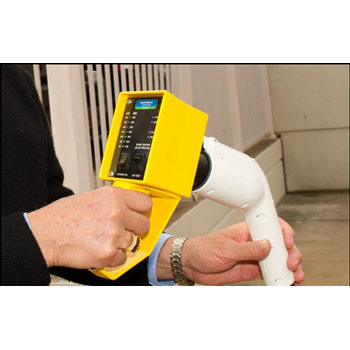 These weatherproof handheld units allow new chargers to be checked after installation, verifying a number of vital power and safety requirements, as they simulate the connection a charger makes with an electric vehicle. 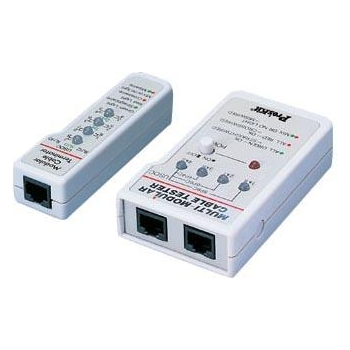 Simply plug the charger's J1772 connector into the tester's receptacle and you are ready to evaluate operation. TF142C - TESTEX Testing Equipment Systems Ltd. Fabric Pneumatic Bursting Tester, to determine the bursting pressure of fabrics uses pneumatic test method, including knits, woven fabric, non-woven fabric, laminated fabric and other craft-made fabric.A test specimen is clamped over an expansive diaphragm by a circular clamping ring, increasing compressed air pressure is applied to the underside of the diaphragm, causing distension of the fabric until the test specimen bursts, the bursting strength and distension are determined. 27555 - C2G, Lastar, Inc. Sends a visible red laser light down the fiber locating any breaks or unseen faults. The Fiber Break Tester from Cables To Go is a pocket sized tool that sends a visible red laser light though fiber optic cables. Breaks or faults in the fiber will refract the light, creating a bright glow around the faulty area. The MaxiPreamp is an entirely new approach to signal tube measurement and is the most comprehensive tester yet in its testing capabilities.The instrument uses two proprietary high-performance current sources, an independent circuit for each section of a tube under test, to create the most accurate results possible for todays demanding listeners. Test results are scanned by a precision analog to digital converter to keep crosstalk and destabilization to a minimum. The TVR6100 is a multipurpose, versatile Binning Tester. It can be used to classify parameters, including TRR (reverse recovery time), VF (forward voltage, IF is up to 100A), VBR (reserve breakdown voltage) and IR (reverse leakage current). Moreover, it can test IR SURGE, ΔVR(delta reverse voltage) and IR parameters at the same time. Each parameter, for testing or not testing, can be selected by each operator. 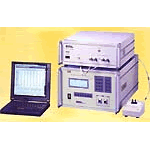 Discrete Component Tester is designed to test small signal and power semiconductor components in both single and multi-device packages or hybrids.. The automatic test system can be used in all test applications including incoming inspection, wafer probe, QC, engineering, production, final test, and high reliability. 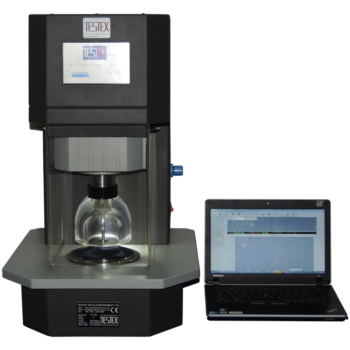 The system tests most all discrete semiconductors with reliable, accurate, and repeatable results. 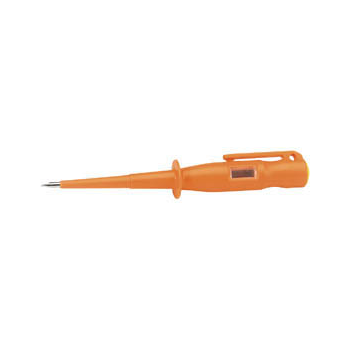 Professional disc-type16 1/4" tester is accurate at all temperatures. Tests ethylene glycol based coolant, hot or cold, including Dex-Cool®. Easy to read discs are magnified by convex design of the clear SAN plastic barrel. Celsius and Fahrenheit scales. Special feature is the "6th disc" which shows overprotection and a loss of cooling efficiency. Beyond 70% anti-freeze, cooling & corrosion effectiveness is reduced. One-piece bulb and neoprene dip tube. Multi-functional tester with plain slot blade that allows the checking of wiring without dismantling or having any contact with live parts. Applications include 'break point' in wiring, continuity testing, bulb and fuse testing, microwave leakage, socket testing and testing for static. Fully insulated. Full instructional leaflet supplied. Supplied with 2 x 1.5V alkaline batteries. 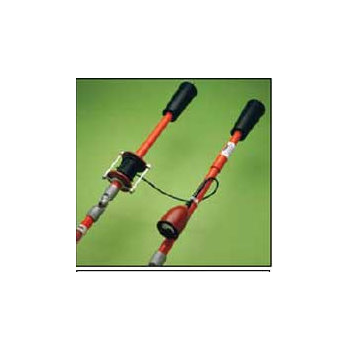 Dual-range tool for overhead and underground construction and maintenance, includes self-test tester, insulated handles and adapters for specific field uses. 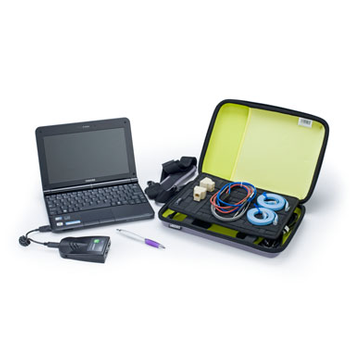 On any given day when work practices require certain electrical tests as essential, turn to this kit. 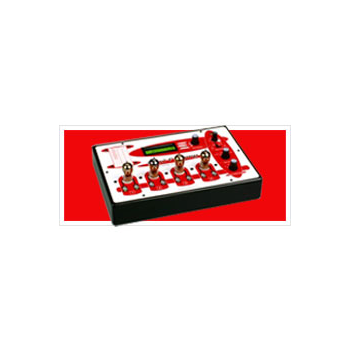 Basic functions include identifying phases and reading line-to-line or line-to-ground voltage. Accessoriesin the kit also permit hi-pot testing of underground cable. 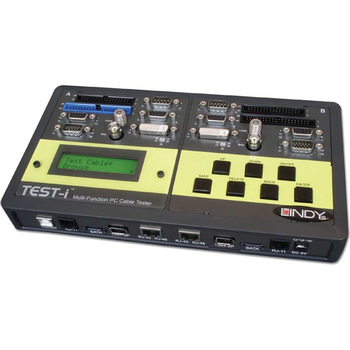 This advanced cable tester is ideal for use in computer workshops and repair centres. 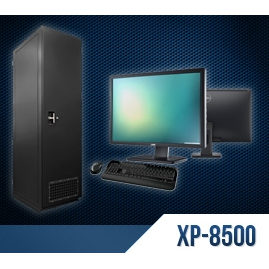 It allows technicians to test commonly used computer and AV cables. The unit not only identifies open circuits, short circuits and mis-wires it also shows pin to pin connectivity with the ability to record and upload up to 100 test results to a PC. An integrated, backlit LCD provides makes operation straightforward and easy to understand. 3PK-NT005N - Prokit's Industries Co., Ltd.
Multi-modular cable tester is applied to quickly test by auto scanning most of modular cable, USOC 4 / USOC6 / USOC 8 terminating with RJ 45, RJ12, and RJ11 modular plug, wires continuity and miss-wiring.It can be also used for testing the cable is crossed pinning or straight through. Moreover, with the remote terminator, it can be further used in remote testing even the cable has been already installed.